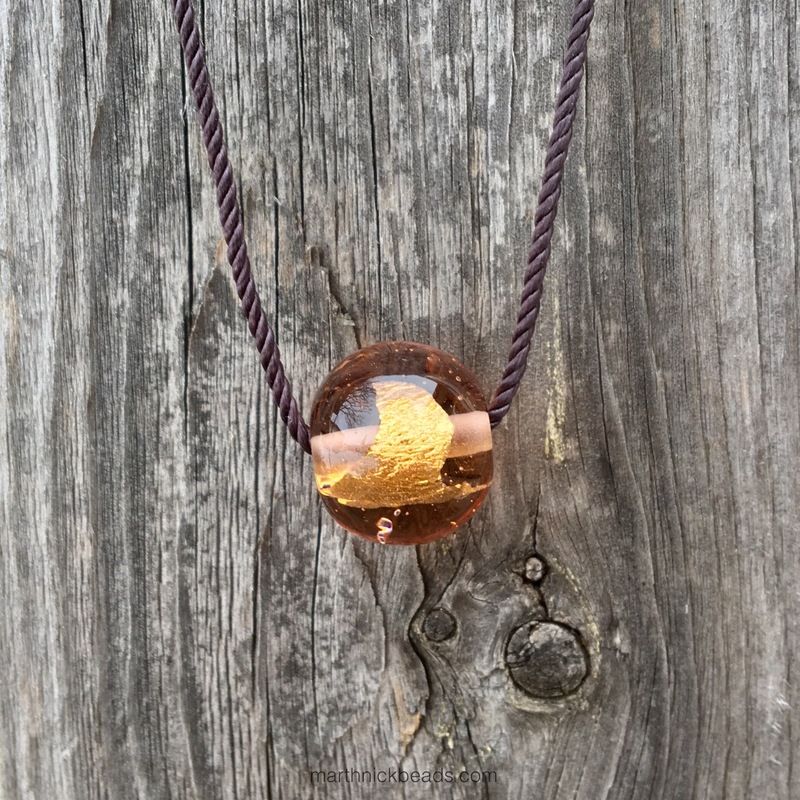 I’ve long been an admirer of the German glass artist Melanie Moertel and finally bought one of her Pureness necklaces. I love it so much that I thought I’d share a few photos today. I ordered it from her Etsy store and it arrived really quickly. 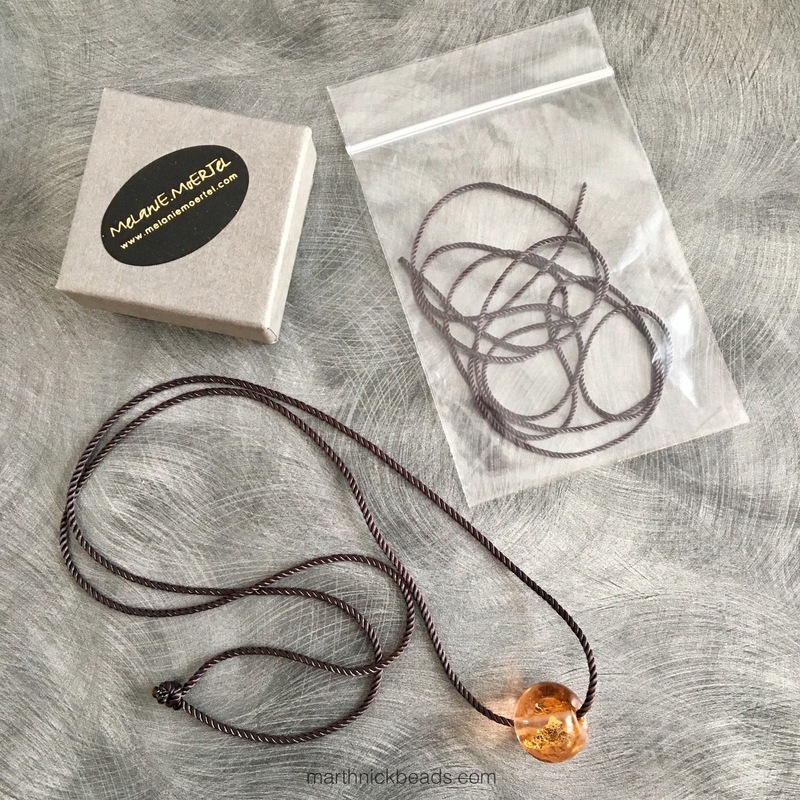 I ordered a Long Focal Bead Necklace from the ‘Pureness’ Collection (approximately $32 USD). It came on a satin cord that is 100cm, but you can easily make it shorter and then burn the ends and that’s exactly what I did. It’s now at about a 70cm length and sits really nicely. It’s much heavier than I thought it would be and feels really substantial. It also came with a thinner cord but I like the thicker one. 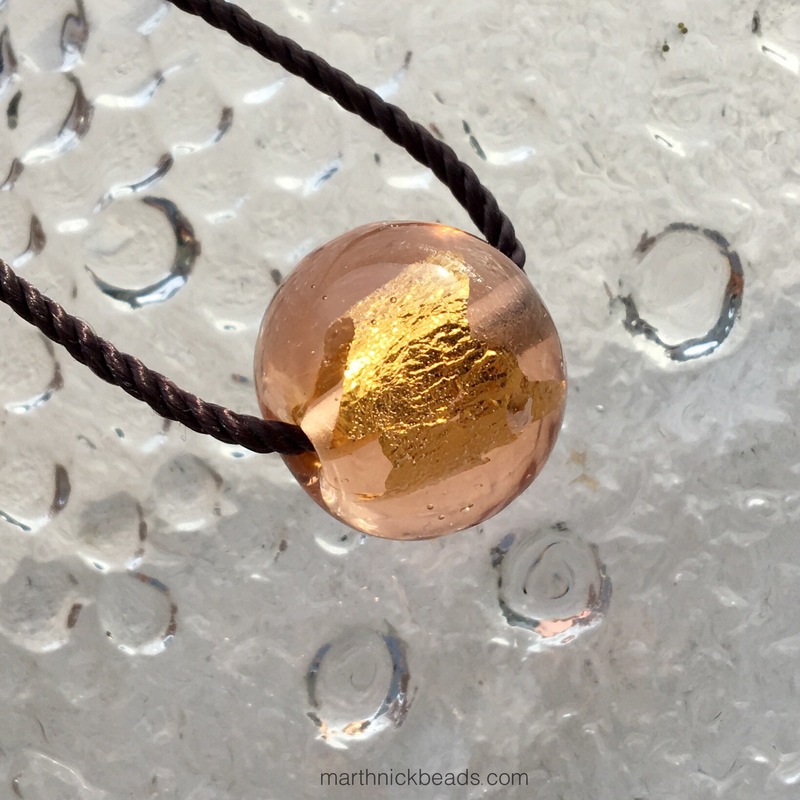 This shade is called Light Pink and there is a piece of 24K gold foil inside. I took this photo in the evening, so with the light it looks slightly different. For a combo I thought it would look nice with some copper, Pink Prisms, Blossom Shade and Daylight Brilliance beads from Trollbeads. 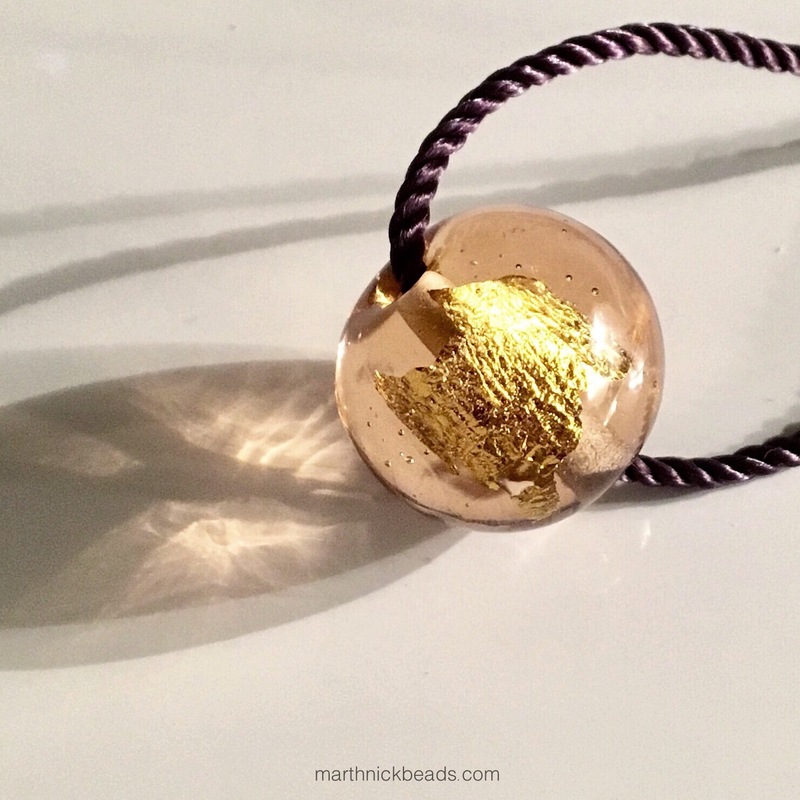 So, I think this is a fabulous necklace at a great price! I will be ordering others, I’m sure. 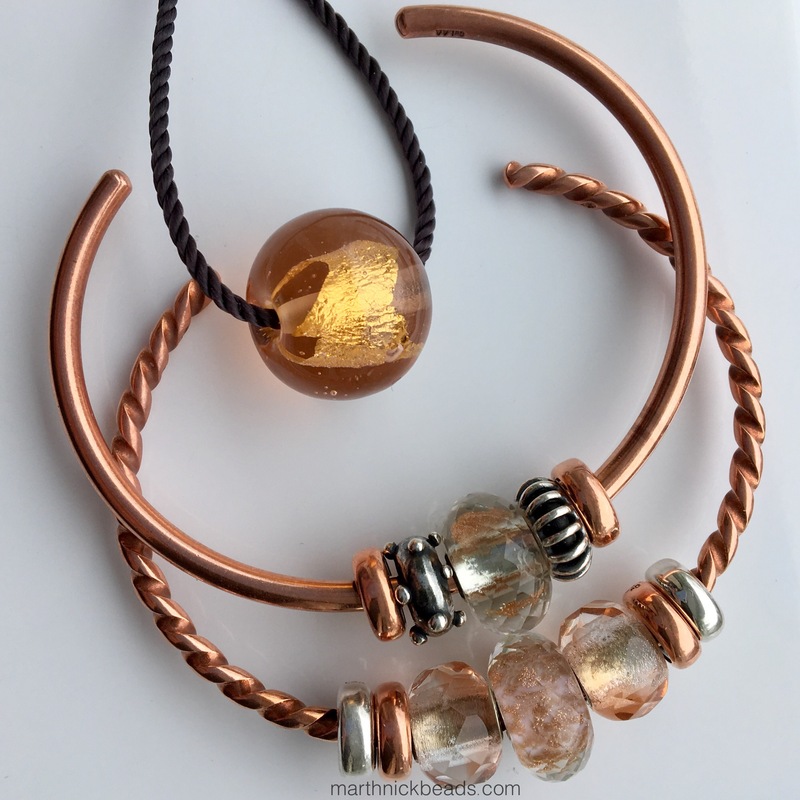 Melanie also makes gorgeous bracelets, earrings and other kinds of pendants, so do take a look. Thanks Elise, I really like it! I love all your posts and photos, but the crystal beads here are especially speaking to me. 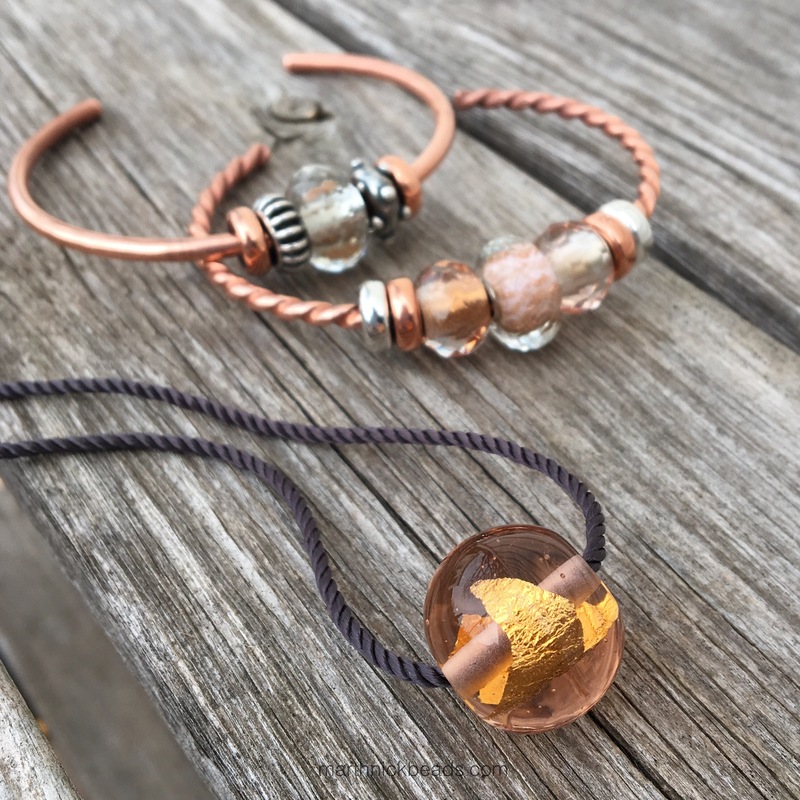 I just ordered the copper bracelet and would love to know what brand the copper crystal beads are that are on the twisted bracelet, and if you ordered them online? Thanks! Hi Lynneny and thanks for your kind words. I think you’re referring to the Pink Prisms, right? Yes, I just ordered them online and absolutely love them! I think there are more photos of them in my post about Animal Kingdom. Yes I was referring to the Pink Prism beads. I was wondering, are they as peachy/coppery as they look in your pictures? The listing in Troll says “so very delicate pink with a hint of lavender”. I don’t really see lavender, or pink for that matter, and was hoping they didn’t have that tone to them. Thanks again! I’d say mine are quite peachy pink. Or pinky peach? I aim for my photos to look on the screen the way I see them in real life, so these ones for sure don’t have a hint of lavender. But, I’ve only seen mine in real life, as I don’t have a Trollbeads store anywhere nearby. If you get one I hope you’re happy with it! Thanks so much again. Your pictures are wonderful, and I really appreciate the opportunity to see your selections and comments. There are no stores near me either, so I am not able to pick out beads individually and it really helps to be able to see really good displays of the beads!